Vitafoods Europe 2018 was a great opportunity to present our new Mediterranean Fruit Extracts, and to confirm Euromed’s long lasting experience (since 1971) in the Botanical Extracts field. 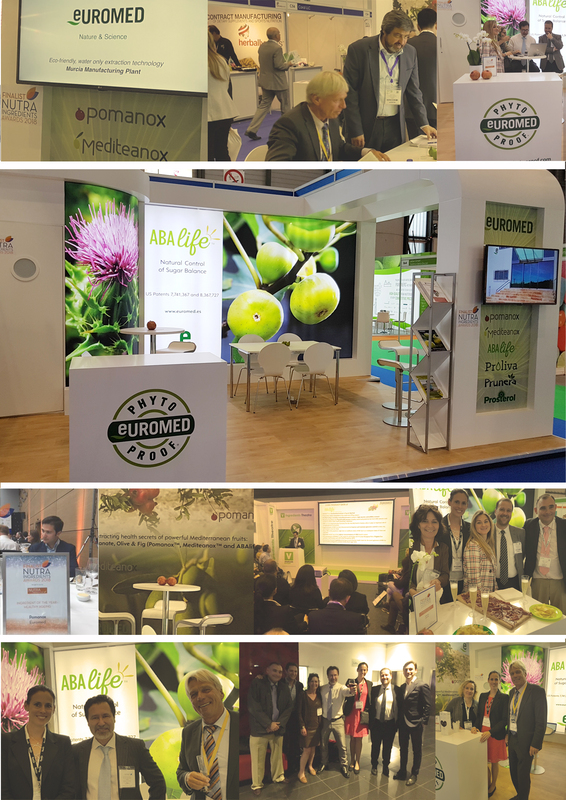 We want to thank everyone who stopped by C59, the organizers, the experts and partners supporting our success, and our fantastic team: Euromed booth was really busy, and so the presentation of our Scientific Marketing Manager “Extracting Health Secrets of Powerful Mediterranean Fruits: Pomegranate, Olive and Fig (Pomanox™, Mediteanox™ and Abalife™)”. 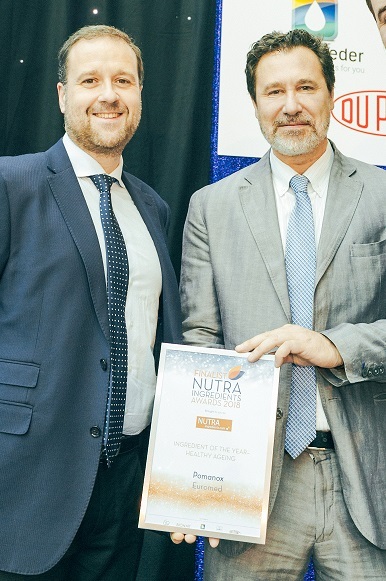 Pomanox™ selection as Finalist in the Healthy Ageing category at NutraIngredients Awards and the very useful discussion and Q/A with the Judges, were also important recognitions to the product. It was a very Fruit-Full event 🙂 …. See you next year!